Reflections and Ruminations: Ministry can be truly challenging, especially when there are two 'i's in the word. Ministry can be truly challenging, especially when there are two 'i's in the word. Walter Brueggemann is an American Protestant theologian who writes extensively on the Old Testament. I remember coming across one of his quotes which says “God’s task of transformation is invariably entrusted to reluctant human will and courage”. In the light of the Old Testament, I couldn’t agree more. Each of the prophets, from the major to the minor ones, has shown one thing in common – they were reluctant human beings, reluctant in will and in courage. Yet, the Church has always liked to use the phrase “prophetic courage” when referring to the need to hunker down and do the challenging tasks that will end up bringing about a transformation. Why do we need courage? Because all transformations, especially the ones that are deep and that require one to be not just moved but yanked out of one’s zones of comfort and security. And these will inevitably bring some form of chaos and turmoil at first. It’s a bit like a farmer who had been sowing one crop and the yield had been marginal through the years, perhaps getting smaller as the years went by, and decides that it is time to change or rotate his crop. In order to do this, it wouldn’t be prudent to simply pull up the old crop, and just plant the new seeds or saplings. There has to be a reworking of the entire soil, allowing the land to fallow, enriching it with nutrients and preparing the land to accept the new crop and become usable for new life. There will be a disruption in the flow of the way that things were before. The farmer needs to have courage to go through the lean times that are ahead because of the desired transformation of the land. As a priest, I have seen that there are great similarities between a farmer wanting to see a transformation of the land, and a shepherd who wants to see a transformation in the hearts and minds of his flock. The ultimate transformation of the human heart is the work of God – it is divine work. We human beings, even the shepherds of the flock, are but co-operators with God’s spirit. But strangely, it is apparent that he entrusts this to the cooperation of reluctant human beings whom he ordains as priests. It is a gargantuan task to impart to one human being that there is a need for inner transformation. To impart this to a group of human beings, and hoping that they will get the message compounds the challenge. Would that there be always a solution that is smooth in transition. Invariably, hearts get rattled when changes are on the horizon. I have read so many stories that when Vatican II announced the reformation of the Liturgy, allowing the use of the Lingua Franca to replace Latin as the language of the Liturgy, and having the Priest turn to face the congregation, it riled and ruffled so many of the faithful. There was a mass exodus of priests when the changes were made, but this didn’t seem to convince Mother Church that the reform was a bad decision. It took the visionary leadership of the then Pope John XXIII to really dare to open the windows to let in the Spirit anew in his grand vision of aggiornomento. Sometimes, when we resist changes and reformation to things that have been on even keel for a long time, it could be that part of the problem is because we may have unidentified ego-related reasons. The more we make it about how we feel, how we are now inconvenienced, how we are seemingly deemed irrelevant, we may have made it more about us than about Church and community. Ministry is a good word. It means service to others and the community at large. 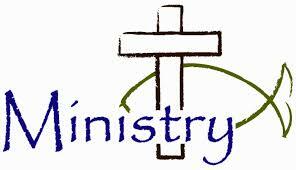 But if one is not careful, one will put more emphasis on the ‘I’ in ministry. The temptation is always there, perhaps because there is not only one “I” in the word, but two. If we are too hurt by changes made, what Brueggemann said is something good to remember – God’s task of transformation is invariably entrusted to reluctant human will and courage. Some will always be more reluctant than others. Indeed, change is inevitable and necessary... Even in nature, there is a change of climate to sustain life…. all who had experienced the seasons will appreciate the transformation each climate brings, as all of God’s creation changes to adapt… Everything changes in due time. The only unchanging we know and can be sure of– is only that of God’s love for us. Interestingly “coincidental”, I received in my mail –June’s issue of Word among Us – the front cover – Melt me, Mold me – Placing our lives in the Potter’s Hands. To courageously rely entirely on His Spirit – to guide us, His Church to where and what He Wills. God alone steers transformation. God calls us to be sheep – to Follow Him (John 10:4); to be clay to be Mould by Him (Jeremiah 18:4); to be branches of His vine; to Remain in Him (John 15:4). God will not hesitate to prune us ( if we are willing) - to bear fruits of the Spirit (Galatian 5:22) & to bring His light to where it is dark, to bear His witness. Indeed, Fr - “God’s task of transformation is invariably entrusted to reluctant human will and courage”. – humbly and gratefully we must be, all is in the mercy of God- Praise the Lord.